AGGRESSIVE UPDATED PRICE AND UNDER APPRAISED VALUE! 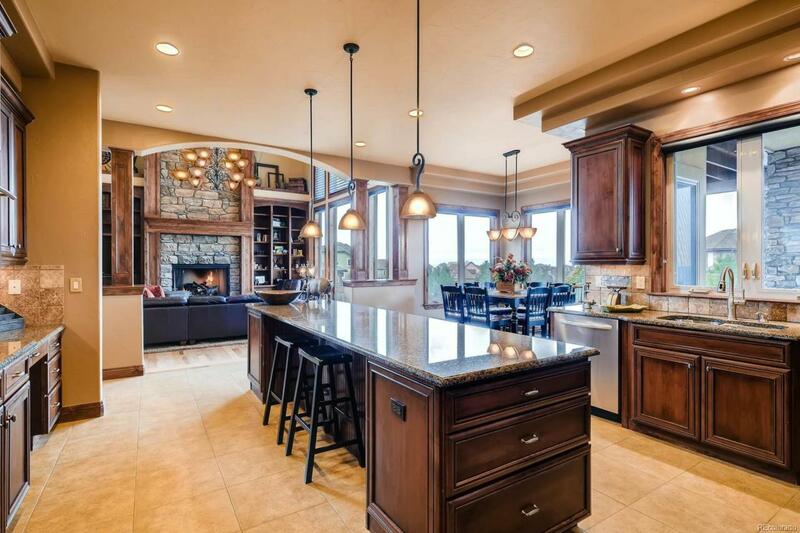 Our beautiful semi-custom boasts of substantial construction, natural rock, stained beams, slab granite, Gourmet Kitchen w/Alder cabs, Hickory floors, new carpet, travertine, and so much more. Watch the sun cascade orange & purple across the skies from the privacy of your Master Bedroom terrace, entertain from your outdoor living area, or watch the kiddos enjoy warm Summers on your large lot. Our Sellers have taken meticulous care to ensure all the features of the home are in top performance. Included in the home are a professional office, formal dining/wine tasting room, Master Suite w/ massive walk-in closet & spa-like 5-pc bath, guest bed & en-suite, two beds w/ Jack & Jill bath, walk-out basement w/ over 36 of addtl storage. Four car garage includes an area for a workshop/storage. Never before has such an opportunity come along to seize such a find in the Timbers. Let fantasy become reality & see it today!